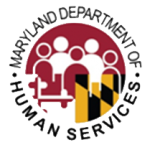 Easton, Md.—The Talbot County Department of Social Services (DSS) is pleased to announce its partnership with the Talbot County Commission on Aging (TCCOA), the Talbot Health Department and Maryland Access Point in hosting a drive to collect supplies for vulnerable seniors in Talbot County. The TCCOA has designated six drop-off locations within the county where items can be donated.The drive partnership is specifically in need of gloves, incontinence briefs/underwear, incontinence pads, disposable wipes and disposable underpads. Volunteers will visit the drop-off locations and collect the donated items which will then be delivered to a large storage facility generously provided by the county, followed by distribution thereafter throughout Talbot County by the Department of Social Services, the Health Department, and Maryland Access Point. If senior participants already have or subsequently receive donated supplies that they are unable to use, they are encouraged to pass those supplies along to those in need in Talbot County, or to contact Kate Stinton at the Health Department at 410-819-5631 or kate.stinton@maryland.gov; Stinton is serving as the donation liaison. Donations will be accepted from March 1 through April 30, and participation is greatly appreciated. The Talbot County Senior Care program currently supports an average of 135 Talbot County Seniors with some of these program services. About 15% of the direct service funds for the program are spent on incontinence supplies. Donated supplies offset this cost so limited funds can be used to assist more seniors, or to help them with other needs. Drop-off locations: Brookletts Place – Talbot Senior Center (400 Brookletts Ave. Easton); Home Instead Senior Care (8626 Brooks Dr. Suite 202 Easton); Mid-Atlantic Tire (8105 Teal Dr. Suite A Easton); Talbot County Health Department (100 S. Hanson St. Easton); Graul’s Market (1212 S. Talbot St. Saint Michaels); St. Michaels Family YMCA (1013 S. Talbot St. Saint Michaels).